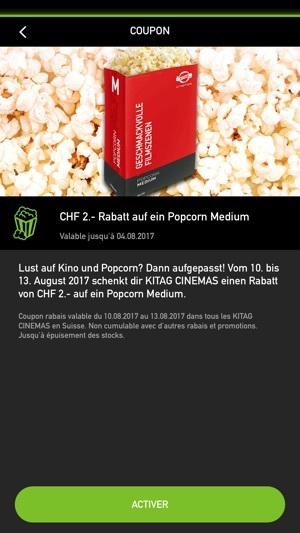 Welcome to the KITAG CINEMAS app! 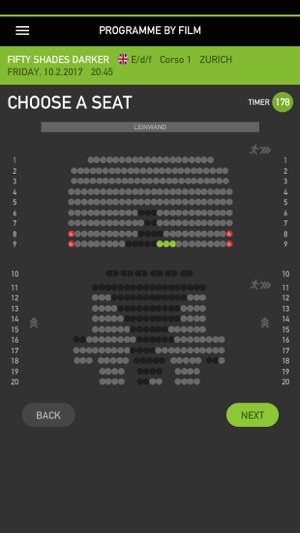 Buy cinema tickets and reserve your favourite seats. 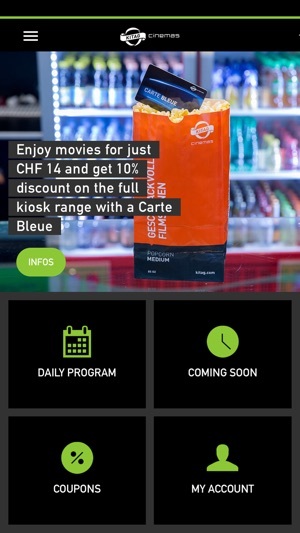 With cinema tickets on your smartphone, you have direct admission to the screen without waiting. Mark your favourites with a heart under COMING SOON and you’ll receive push notifications with all the news about your favourite stars and upcoming films. Wherever you are, you can find the right information and offers for KITAG CINEMAS near you in the app. 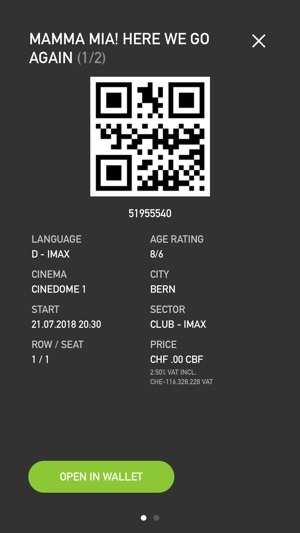 You need an account to buy cinema tickets in the app. Log in to your existing KITAG CINEMAS account or create a new account. Tickets can be purchased with the Carte Bleue, a credit card, the PostFinance card, Swisscom Natel® Pay or a KITAG CINEMAS gift card. 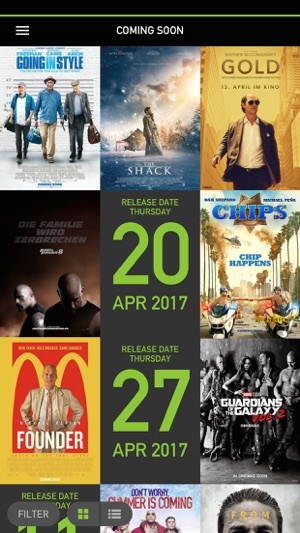 All information on films and kitag.com cinema listings are conveniently available in the new app.